Do you run a business* in Coventry? Sessions are part funded through the European Regional Development Fund (ERDF). 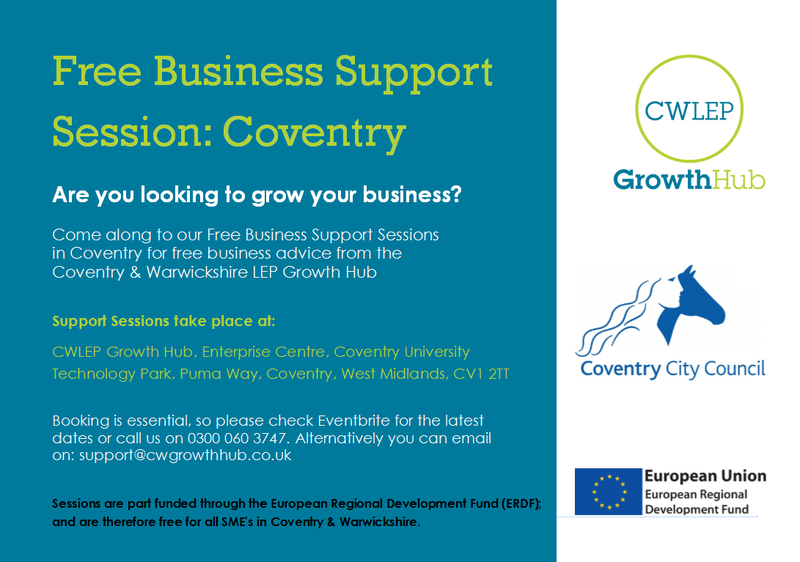 These events are free for all SME's in Coventry & Warwickshire. *Please note, these sessions are designed for businesses who are already trading/registered. If you have an idea for a business and need advice and guidance to start-up, then please get in touch with us on support@cwgrowthhub.co.uk so we can assist you in your new business venture.